Pure lavender oil is an incredible essential oil to use for your own health and wellness. It’s among the gentlest of essential oils, but also one of the most powerful, making it a favorite of households for the healing properties and uses of lavender essential oil. Lavender oil has a chemically complex structure with over 150 active constituents, which explains its effectiveness at helping with a lot of health ailments. Lavender oil possesses amazing anti-inflammatory, anti-fungal, antidepressant, antiseptic, antibacterial, antimicrobial, antispasmodic, analgesic, detoxifier, hypotensive, and sedative properties. Great to drink before bedtime to help you relax! Dream pillows are normally filled with dried herbs and placed under the pillow at night to aid with sleep & dreams. You can make a small pillow out of natural fabric or fill a small mesh or organza bag. Mugwort: Used to activate dreams. Good for people who have a hard time remembering their dreams. Can bring colorful, wild, Alice-in-Wonderland types of dreams. Be careful, because for some people, mugwort can be too stimulating. Mugwort can bring overwhelming dream activity and I’ve heard many reports from people who say they felt like their night with mugwort was too busy and they didn’t get enough rest. Chamomile: Brings calm, peaceful sleep. Chamomile can also help relieve nightmares in both children and adults. 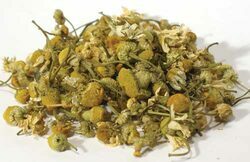 Chamomile has a sweet, apple-like aroma and is good for releasing fear, anxiety, and agitation in both waking and dream states. Can also be used for insomnia. 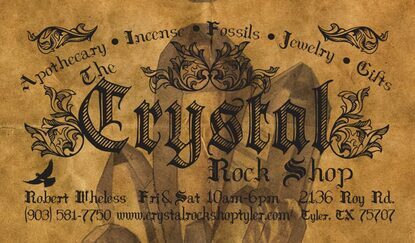 Particularly useful for those seeking good luck, and can be quite helpful when seeking love and prosperity. 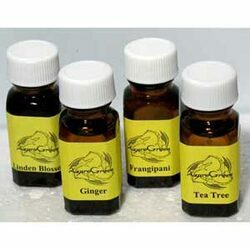 It's aromatic scent also helps soothe mind & body, making is useful for mediation. Lemon Balm: Is both calming and uplifting. 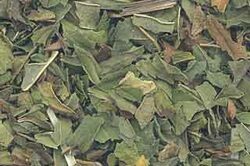 Lemon Balm can be useful for dreamers who suffer from stress, depression and/or anxiety. 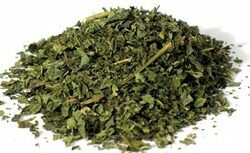 Lemon balm brings healing to trauma in both waking and sleeping states. Lemon balms gentle wholesome scent is often used to break negative energy & renenutralize a room or area. Lavender: Depending on the amount, lavender can be either calming or stimulating. A pinch of lavender in your dream pillow can relieve stress, tension and headaches. In larger amounts, lavender helps to open our third eye and crown chakras and activates our powers of intuition. Lavender can also be used for divinatory dreams. Lavender Flowers (Lavandula angustifolia) Lavender flowers are often used for spells of love and healing as well as to seek inner peace, or work spells of prosperity and protection. For a milder scent use Spanish Lavender. Peppermint: Peppermint Leaf (Mentha piperita) Of potent use in creating visionary dreams and psychic ability, Peppermint is also famous for its fresh aromatic fragrance. The fragrance can help give a calming effect. Spearmint: (Mentha spicata)A great herb and used widely. It can be invigorating for the mind, senses, and psychic awareness as an aromatic. Also Spearmint is useful in dream and mojo bags to call positive bright energy. Rosemary: Rosemary (Rosemary officials) Traditionally, Rosemary is known for increasing memory and being a powerful aid in spells of love and romance. An old saying is “Rosemary for remembrance.” Rosemary helps us to remember our dreams. It also connects us to memories that may have been lost or forgotten. When dreaming with rosemary, these memories may surface in the dream state. Rose: Brings a feeling of love to our dreams. Rose has been traditionally used to bring prophetic dreams of one’s beloved. Rose can also be used to help heal the heart from grief and heartbreak. It can be added to dream pillows to bring a feeling of love and warmth to the dreamer and the dreams. After adjusting the amount of herbs it to your personal needs add a few drops of an essential oil for add fragrance and potency. Most of the herbs listed above are available in essential oils. Just pick the one you need or your favorite scent. It's that time of year again & in some areas like here in TX fleas & ticks are a big problem. Sadly lots of prescription flea preventives are unsafe or simply don't work because over the years fleas have build up a resistance to them. If your pet is sensitive like mine you might not want to run the risks of putting chemicals on their skin. Here are a few of the things I use. This can be purchased pre-mixed from most health food stores or you can make some your self with lavender oil & water (use filtered water not tap water) Give it a good shake before using & spray your pet down before they go outside. If your dog has a thick coat rub it in a bit after spraying. It also helps with mosquitos & I even spray myself before going out side. Spray your pets bedding and around it with this mixture lightly as well. -3-5 drops of cedar oil or lavender oil I use both because it's a nice smell but the cedar oil might be to strong for some people, also make sure your pet doesn't have allergies to cedar before using. Dilute 2-3 drops of your chosen oil in 1-3 tablespoons of water. Some people use the oil undiluted, but I personally feel it should always be diluted, even if it’s only by a little. Next, pick out a bandana to be the flea collar-I think a bandana is preferable because you can take it on and off and your dog’s collar won’t smell. It’s always fun to get creative with patterns and colors here. If you go up to ½ teaspoon you can use up to 5 drops of the liquid. Using an eyedropper or other similar means, apply 5-10 drops of the mixture to the bandana and rub the sides of the fabric together, and then tie it about your dog’s neck in a snazzy way. Reapply oil mixture to the collar once a week. A good easy to use topical oil is mix a few drops of lavender oil or cedar oil with olive oil. Apply with an eye dropper to the base of the neck & base of the tail, the same places you would normally put a flea preventive. Rub in a little, reapply weekly or after bathing. Flea deterring drink- can be used alongside any of these remedies. For every 40 pound dog add 1 teaspoon of white distilled vinegar or apple cider vinegar to 1 quart of their drinking water. My dogs seam to like the apple cider vinegar. I add about 2 teaspoons to a full large bowl of drinking water. This can be done weekly. Not only does it deter fleas, it improves a pups skin and coat condition from the inside-out. 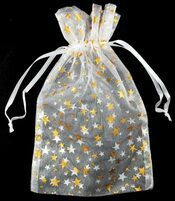 -Breathable fabric bag (such as muslin) You can make your own but lots of stores carry them. Little gossamer jewelry bags work great too! Fill with a rough handful of fragrant cedar chips, 1-2 teaspoons of lavender, and 1 lemon peel. Place under your pets bed/bedding or near it to ward off fleas. Change the mixture every month or so. If you don't care for cedar or if your pet has an allergy just fill a bag with dried lavender buds. Not only does it smell great but it will ward off most bugs! Flea bath- wash your pup with this weekly to deter fleas. *Always check with your vet before hand if your pet has been known to have reactions to anything in the past. Keep a supply of thyme essential oil or dried thyme on hand in the event that you fall ill with either the flu or with a common cold. Thyme has long been known as an expectorant, which makes coughs more productive (that is, it helps clear out your lungs faster so you feel better sooner). You can brew a thyme herbal tea by steeping 2 teaspoons fresh thyme in a cup of boiling-hot water for 10 minutes. Or make a thyme steam bath: Toss either a handful of dried thyme or a few drops of thyme essential oil into a bowl of hot water and lean over the bowl, covering both your head and the bowl with a towel. Inhaling the steam will help loosen mucus in your chest. Licorice root contains a compound called glycyrrhizin that has been found to have pretty potent antiviral effects against serious diseases, such as HIV and SARS, and a number of studies have found that licorice-root extracts can fight off the flu, including strains of the avian flu virus. In Ayurvedic medicine, licorice root is also used as an expectorant. A number of companies make licorice-root supplements and teas, but if using those, be sure they contain actual licorice—many products (licorice candy, for instance) don't contain any of the herb but instead contain anise seed, which tastes like licorice. Also talk to a doctor or pharmacist if you’re taking any prescriptions, as licorice has been found to interfere with some medications. Garlic boosts the health of your immune system, and a number of studies have found that animals given regular doses of garlic supplements are better able to ward off viruses like the flu and various strains of rhinovirus, the kind responsible for the common cold. In one study from 2001, volunteers who took a daily garlic supplement were less likely to get colds than volunteers taking a placebo, and even when the garlic takers did get sick, they recovered more quickly. For the sake of people who have to talk to you, garlic supplements are probably the kindest way to go. But you can also get the same benefits by chewing on a clove of garlic once a day for prevention or twice a day to get over a cold or flu. Mince a clove of garlic into some honey if the flavor is too overpowering. It’s not clear whether adding more garlic to your cooking affords the same protection, but if you love the flavor, you can add more to your recipes while possibly getting an immune boost. There isn’t much evidence that echinacea will do anything for you once you get a cold, other than possibly shorten the duration of your symptoms. But there is some evidence that it could prevent colds and flus if taken in conjunction with garlic supplements, according to an article in the Journal of the National Medical Association. The problem with most echinacea products on the market is that they don’t tell you how much of the herb is in the product. Forgo teas and instead take a supplement containing 1000 milligrams three times a day. One note: People who are allergic to ragweed or to pollen may be allergic to echinacea, as well. Another botanical that helps you cope with cold and flu symptoms is elder, also known as black elder. The extract of elderberries has been tested repeatedly and found to shorten the duration of symptoms by as much as 4 days, and the extract has been found effective at fighting up to 10 strains of flu virus. Nearly all of the scientific studies conducted on elderberry have used a commercial product called Sambucol, which is available as a liquid supplement from a number of different companies. Lavender, rosemary & mint are great added to any soap in dried form or as an essential oil. Just added a few drops to your normal soap. Lot of new herbs have been added to the store!